Welcome to your wealthy life… let’s spend some time understanding what it looks like and means to you. When you allow yourself the time to dream or consciously think about what a wealthy life looks like for you, what do you see? For me there are a few key components of a wealthy life. I like to experience places around the world, preferably warm places, and the things that these different environments have to offer. Another component of my wealthy life is less visible initially… it’s time. Time to do the things I want when I want, with who I want. Wealth means getting to experience these places and the things they have to offer and to have the time to do what I want, when I want. It’s a liberating feeling. Which lead to the final component of my wealthy life, impact. I want to create an environment where I am impacting as many people as possible to take control of their money and achieve their definition of a wealthy life. Part of me doing this is to ensure that I am living a wealthy life, demonstrating that it can be done and living what I teach. You need to plan where you want it to take you. You need to know what it will look like when you get there. Your wealthy life is a destiny, so you better spend some time now defining what it looks like to you. Because the beauty of a wealthy life, is that everyone’s will be different. The material things will be part of the motivation to achieve your wealthy life, they are the fun part… So don’t feel you can’t have them as part of your unique definition. The old saying that you don’t plan to fail, you fail to plan comes to mind when I think about this part of wealth. Without a clear vision of where you want to go, how will you know when you get there, and what will drive and motivate you to even bother trying? 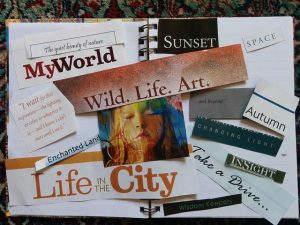 One of the best pieces of advice on this aspect of wealth creation that I ever received was to create a dream or vision board. Cut them out from wherever you might find them and have a visual reminder that you review regularly to remind you of what you are seeking. These days there are apps for dream boards. I have created one that is my laptop background, so every day when I work on my business I see my dream board and all the images of the things I want to achieve. It’s a powerful reminder and motivator. Why Do You Want a Wealthy Life? Now up to this point I’ve made a rather larger assumption that you want a wealthy life in the first place. And I feel safe that this assumption is reasonable since you are here. But why do you want a wealthy life? This comes back to the final component of my wealthy life… IMPACT. I want to help 1,000,000 people benefit from having taken control of their money and taken steps to achieve their financial freedom. In creating this outcome I am able to have congruency between my work and my vision, it’s a cool space to be in. By achieving this impact, I am also building the capacity to make a contribution to causes that are close to me, such as cancer research. Understanding why you want a wealthy life is super important. Again, your why will be different to mine and anybody else’s. 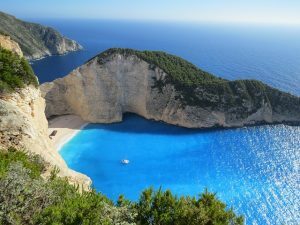 However you need to know why you are going to spend all this time and energy to make your wealthy life a reality. Without the why part, you are bound to run into stumbling blocks that will stop you in your tracks. In fact, they probably won’t even need to be blocks, tiny pebbles will have the same impact. I’ve seen it happen too many times, like the time some friends who had been saving feverishly to have a deposit for their first home. They had been doing fantastic, and thought they had enough so approached the banks to apply for a loan. When they were declined a loan because the banks felt their deposit wasn’t enough yet, rather than go back and dedicate themselves to saving that additional money, which compared to what they had saved was not a lot, they chose to spend it all instead. All that time and effort was wasted because the banks put a pebble on their road. 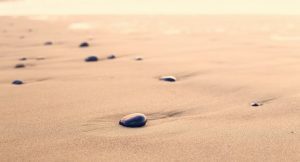 A strong why will help you overcome these pebbles. What are the things, that when you have them, or experience them, you know you are living a rich, wealthy life? So share with me below your wealth measures and remember that your sharing could provide the insight and inspiration for someone else as they create their definition of a financially free life too. Next Next post: Wealth Creation…Have you been misled?